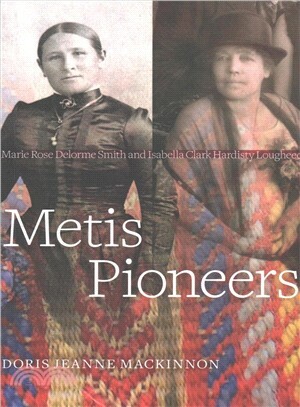 In Metis Pioneers, Doris Jeanne MacKinnon compares the survival strategies of two Metis women born during the fur trade—one from the French-speaking free trade tradition and one from the English-speaking Hudson’s Bay Company tradition—who settled in southern Alberta as the fur trade transitioned to a sedentary agricultural and industrial economy. MacKinnon provides rare insight into their lives, demonstrating the contributions Metis women made to the building of the prairie west. This is a compelling tale of two women's acts of quiet resistance in the final days of the British Empire. Doris Jeanne MacKinnon was born on a farm in northeastern Alberta and attended school in the historic town of St-Paul-des-Métis. She has a PhD in Indigenous and post-Confederation Canadian history. An independent researcher and postsecondary instructor, she lives in Red Deer, Alberta.